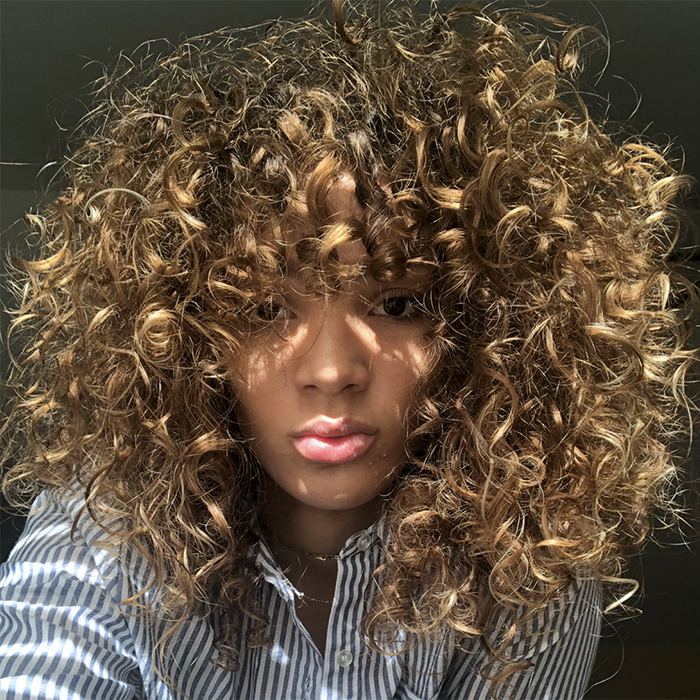 While many curly girls feel as though they have too much volume in their hair, those with fine curls tend to feel the opposite. Of all the curly hair types, fine curls can be the most difficult to manage. Take care of fine curls requires a delicate balance. Here's how you can take care of your fine curls to get the best results. When you have fine curls, long hair probably isn't for you. The length can add excess weight while will pull your curls out. Opt for shorter lengths with layers to help create volume and movement. Since your curls are fine in texture, they are much more likely to be damaged. Avoid using chemical products or procedures on your curls. Things like chemical straighteners can result in your curls loosing all their structure and shape. For curlies with fine hair, a bit of color can actually be beneficial. Color will help roughen up your curl's cuticle. This will help create a bit more texture than your fine strands might already have. The shine of the color will also help deflect light from your curls, which will give them more movement. You've probably seen us tell curlies not to shampoo their hair very often. However, for curlies with fine hair the rules are a bit different. More regularly shampooing your hair is beneficial because it removes product, build up and excess oils which can weigh your strands down. Some curlies with fine hair opt to not even use conditioner. Over conditioning your curls can result in strands that are dull and lifeless because they're so coated with product. For you, a very light conditioner designed for fine hair or a leave in conditioner is best. The same goes for product; don't go crazy. For you, a little less is more in regards to products.